Cuppa is a small application to time your cup of tea as it steeps. Tired of leaving your tea too long, to become bitter and cold, or drinking it too soon and not appreciating its full potential? Then this utility is for you! To make the app so quick and easy that you’ll actually use it, we have built it with simplicity in mind. Just open the app and tap the button for the type of tea you’re brewing: black, green, or herbal. That’s it. 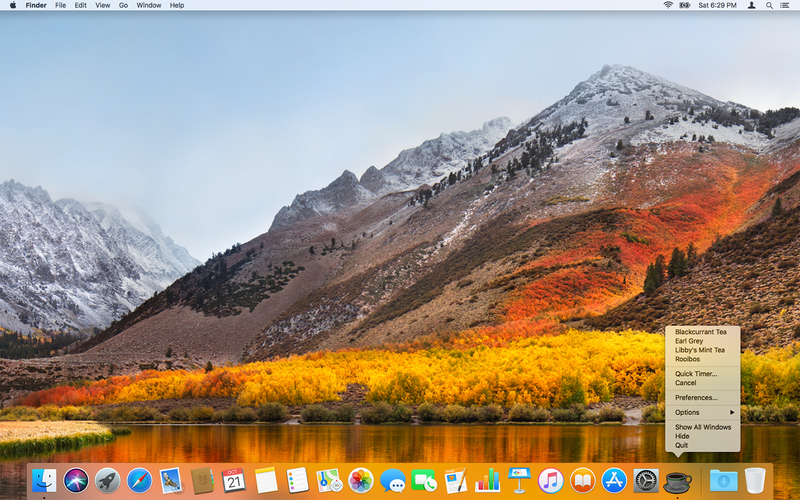 No fiddling with settings or navigating through menus. Once you tap, Cuppa will begin timing the brew and you’ll see a teabag appear in the cup and gradually darken as the tea steeps. A countdown timer shows the steep time remaining. 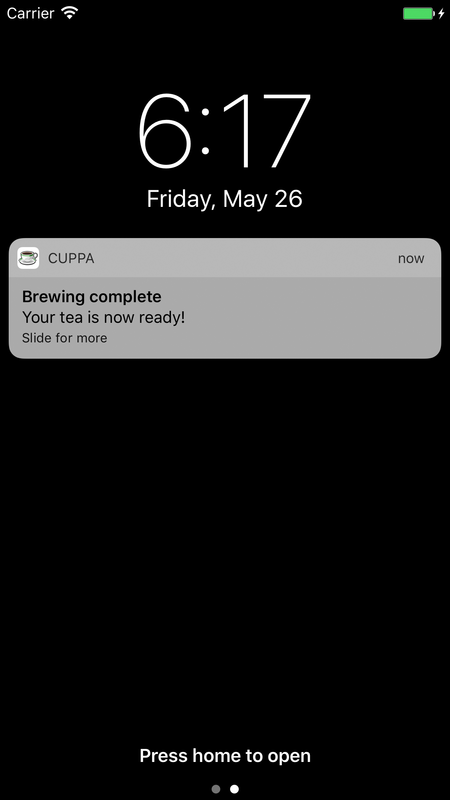 When the tea is done Cuppa will let you know with a notification — depending on your device settings, this may be accompanied by a sound and/or vibration. Cuppa Mobile is a free, open-source application (GitHub: https://github.com/ncosgray/cuppa_mobile). 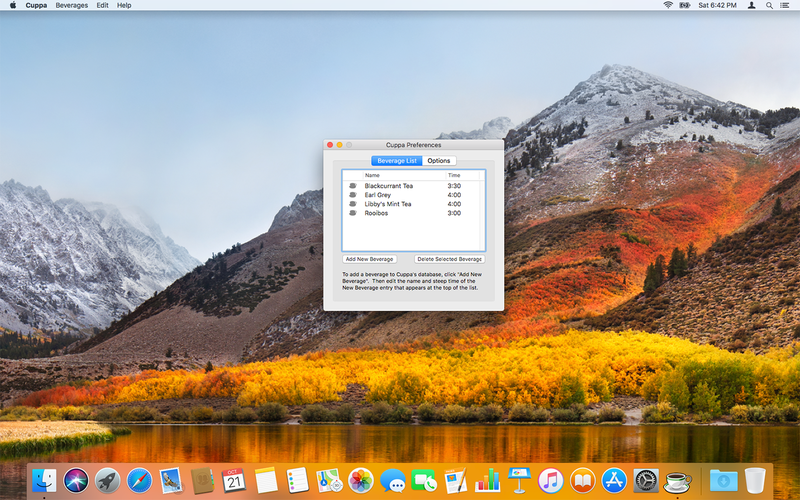 Cuppa for macOS is more versatile and customizable than its mobile app counterpart. 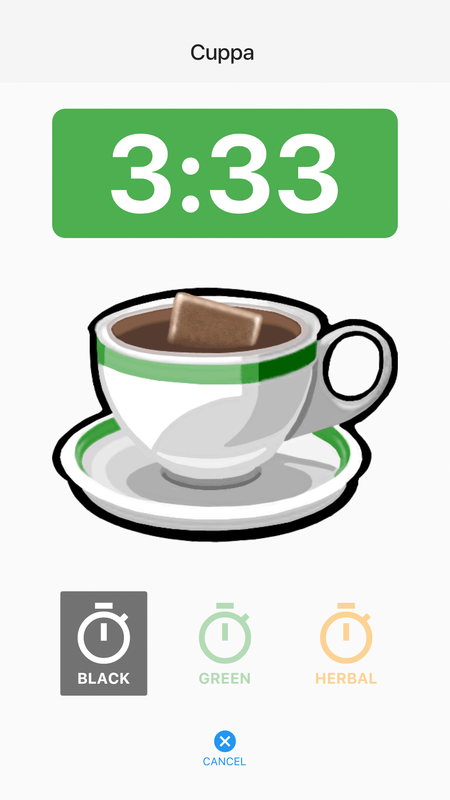 Cuppa is an application that lives in your Dock: just right-click or control-click on Cuppa’s icon and select the beverage you are brewing (the beverage list and times can be edited, and even expanded to time things other than tea!). 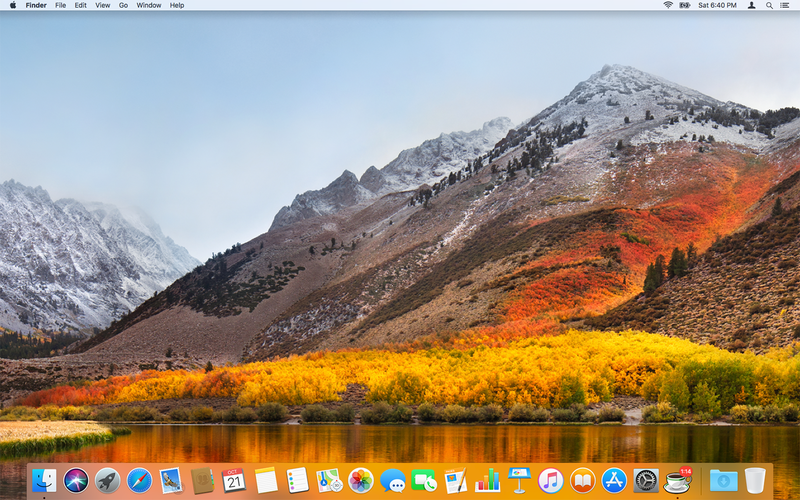 When you choose a beverage, Cuppa will begin timing the brew for you, with a countdown timer that’s optionally displayed as a badge on the dock icon. When the tea is done Cuppa will attempt to get your attention by various configurable means. Cuppa is a free, open-source application (GitHub: https://github.com/ncosgray/cuppa). How to customize sounds in Cuppa. Cuppa for macOS includes contributions from Mathias Meyer and Eric McMurry. German translation by Benedikt Hopmann. Czech translation by Tomáš Klos. Italian translation by Giuseppe Morelli. French translation by Christian Parent. This application was inspired by The Tea Cooker for Linux and is based on work done by Wunderbear Software. Copyright © 2005-2019 Nathan Cosgray.